Dr. Alex Solodyna is a Clinical Psychologist specializing in motivational interviewing, several treatments for PTSD, exposure with response/ritual prevention for anxiety/OCD, parent management training, several treatments for substance misuse, and neuropsychological and personality assessment. He is well versed in treating children, adolescents, and adults. Additionally, Dr. Solodyna is a Lecturer, Part-Time in the Department of Psychiatry at Harvard Medical School; a Clinical Associate at McLean Hospital; and, Adjunct Instructor in the College of Professional Studies at Northeastern University. Formerly, Dr. Solodyna was a clinical psychologist, family therapist, and group therapist at McLean Hospital’s Obsessive Compulsive Disorders Institute and a Psychology Consultant to Worcester Recovery Center and Hospital, where he trained and supervised graduate-level trainees in the administration and development of individualized cognitive enhancement and restructuring therapies. Dr. Solodyna received a Master of Arts degree in Counseling (marriage and family therapy) from Santa Clara University before earning his Doctorate in Clinical Psychology from William James College (formerly the Massachusetts School of Professional Psychology). He completed his predoctoral psychology internship at Lexington High School’s Special Education Department and Worcester Recovery Center and Hospital (formerly Worcester State Hospital). Dr. Solodyna completed his postdoctoral fellowship in clinical community mental health and substance abuse at Seven Hills Behavioral Health and in neuropsychological assessment at Metrowest Neuropsychology, LLC. Dr. Solodyna is licensed as a psychologist and health service provider by the Commonwealth of Massachusetts. He is an expert in motivational interviewing and a member of the Motivational Interviewing Network of Trainers. He is especially interested in the implementation of scientifically valid treatments in systems, the transdiagnostic treatment of mental disorders, and teaching providers and trainees how to facilitate behavior change while maintaining a strong therapeutic relationship. Dr. Creedon is a Licensed Clinical Psychologist specializing in Dialectical Behavior Therapy, PTSD treatment, exposure with response/ritual prevention for anxiety/OCD, and parent guidance. She works primarily with adolescents, adults, parents, and families. Dr. Creedon is a Lecturer, Part-Time in the Department of Psychiatry at Harvard Medical School; a Clinical Associate at McLean Hospital. Formerly, Dr. Creedon was a psychologist in McLean's 3East DBT Adolescent Outpatient Clinic Program and Partial Hospital Program. She was also a Behavioral Health integration Clinician at the Charles River Health Center in Boston, MA where she provided therapy in English and Spanish to members of the Boston and Waltham communities. 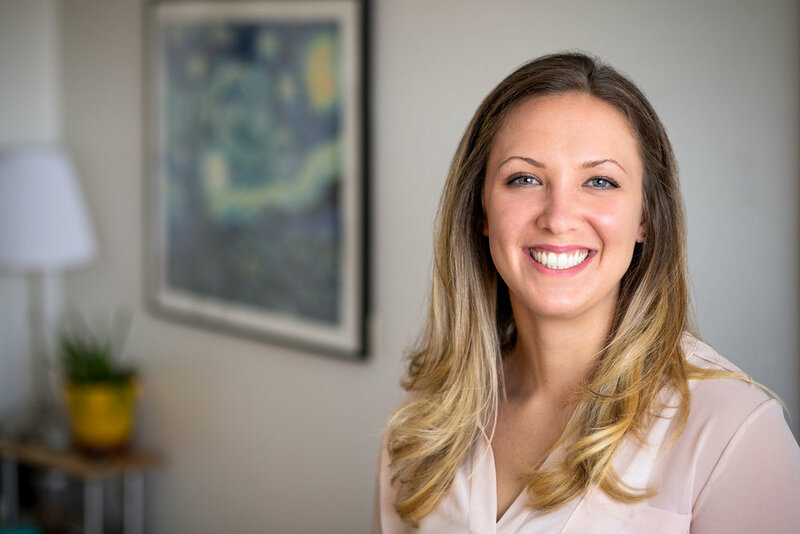 Dr. Creedon has several distinctive areas of expertise which help her to provide effective, individualized therapy to suit the needs of the person seeking services. Dialectical Behavioral Therapy (DBT), Cognitive Behavioral Therapy (CBT), Exposure with Ritual/Response Prevention for anxiety disorders, Prolonged Exposure (PE) and DBT PTSD for trauma, and Behavioral Activation (BA) for the treatment of depression, are some of the treatments that she employs. Dr. Creedon uses Motivational Interviewing as well, to catalyze clients towards enacting the changes they wish to see in their lives. She is adept at providing goal-directed, evidenced-based interventions in a warm and supportive manner. Dr. Creedon has extensive experience in treating teens, and adults with a broad range of stress, anxiety, personality, and mood disorders. She gained particular expertise treating individuals who have borderline personality disorder, PTSD, anxiety disorders like generalized anxiety disorder, social anxiety disorder and OCD, depression, and eating disorders. In her practice, Dr. Creedon often works with both the adolescent whom she treats and his/her family. This approach is informed by Dr. Alec Miller's DBT for Adolescents, which portends that changes made in individuals are strongest when accompanied by concurrent changes in the family system. Dr. Creedon has undergone extensive training in DBT. DBT was designed for individuals with a variety of difficulties including emotional dysregulation, self harm and suicidality, difficulty communicating with and relating to others, and issues with self esteem and self worth. Dr. Creedon was also trained by Melanie Harned, PhD in DBT-Prolonged Exposure Treatment and by Martin Bohus, MD in DBT-PTSD. These are specialized and research-backed treatments that helps individuals recover from symptoms of PTSD such as nightmares, dissociation, avoidance, flashbacks, fear, and anxiety. Finally, Dr. Creedon is conversationally fluent in Spanish. From living in Latin America and studying multicultural theory and practice, she has developed a niche in treating individuals from diverse backgrounds. Dr. Creedon received a B.A. from Bates College and a Master of Arts and Doctorate in Psychology from William James College (formerly The Massachusetts School of Professional Psychology). She completed a specialized post-doctoral fellowship at McLean Hospital's/Harvard Medical School Klarman Eating Disorders Center. Dr. Creedon also completed a clinical pre-doctoral internship in Psychology at South Shore Mental Health and McLean Southeast/Harvard Medical School. She is a member of the Massachusetts Psychological Association and the International OCD Foundation. Madeline Conover is a Licensed Mental Health Counselor and Registered Expressive Art Therapist. In addition to her work with the Motivation and Change Group, she co-directs the art therapy programming for children and adolescents at at the annual conference of the International OCD Foundation. Madeline received her Master of Arts in Expressive Therapies with specialization in Mental Health Counseling from Lesley University. She completed her practicum and internship at Wayside Youth and Family Networks and McLean Hospital, as well as a 200-hour Yoga Teacher Training Program at Yogaworks (formerly Back Bay Yoga). Previously, Madeline has worked as a group therapist and expressive art therapist at Boston Children’s Hospital in their residential psychiatry department; Unit Manager, counselor & group therapist at McLean Hospital’s Obsessive-Compulsive Disorders Institute; individual and family clinician at Wayside Youth and Family Networks; and, as an art therapist at the Jimmy Fund and Dana Farber. Madeline specializes in Cognitive Behavioral Therapy (CBT) and exposure with response/ritual prevention for anxiety/OCD. In addition, she is experienced in the use of Dialectical Behavior Therapy (DBT) for depression and emotional regulation, as well as intermodal expressive art therapy and mindfulness. Madeline is skillful in working with children, adolescents, and adults. Madeline values building strong therapeutic rapport, facilitating behavior change, supporting creative expression, and providing an opportunity for growth. She works with children and adults who struggle with anxiety, ADHD, OCD, depression, and disordered eating, as well as children who are on the Autism Spectrum and those who have been psychiatrically hospitalized.